Just like the automobile industry, destructive testing is the dark side of aircraft development. The fact is airframes have to be tested to their breaking point in order to ensure that they can withstand daily operational abuse in all types of conditions. 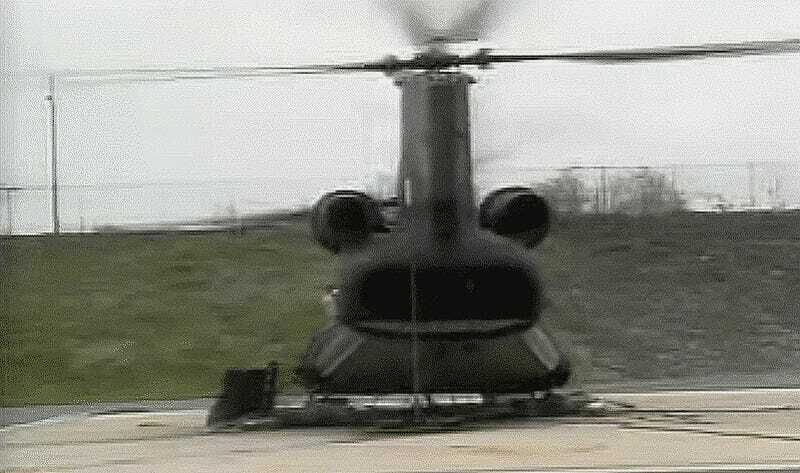 When it comes to this extreme mode of testing, helicopters can be particularly self destructive under certain conditions. All this testing over the Chinook’s 50 year plus career has kept the type as one of the most useful, adaptable, reliable and hardy heavy lifting helicopters ever built. In fact, Chinook production is still in high gear and there is an upgrade path being put into place by the U.S. Army that should see the type serving for many decades to come. In fact, as it sits now Chinooks could still be thumping their way through the air past 2060, by which time the design will be 100 years old.